Exports the information from current view displayed in PDF file. The file exported can be opened in and printed in any compatibility application, like Adobe or other. When you save your project file as a PDF, you can share it with anyone who has a computer, even if they don't have Project installed. 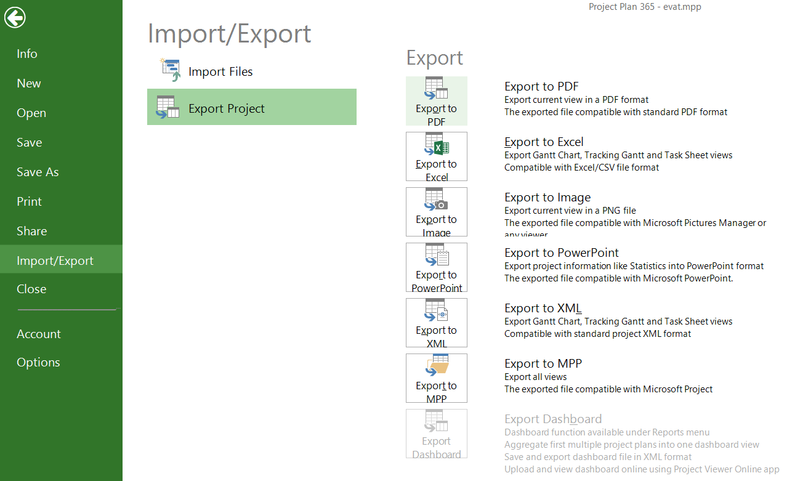 To this end, you must choose the view you want to export and then select the Export to PDF option under Export menu. You can also export your project plan to PDF format, by choosing to print your file to PDF format instead to send it directly to the printer. Remember that a PDF or XPS doc is a snapshot of your project. You can't change it, and you can't convert it back to a Project MPP file. 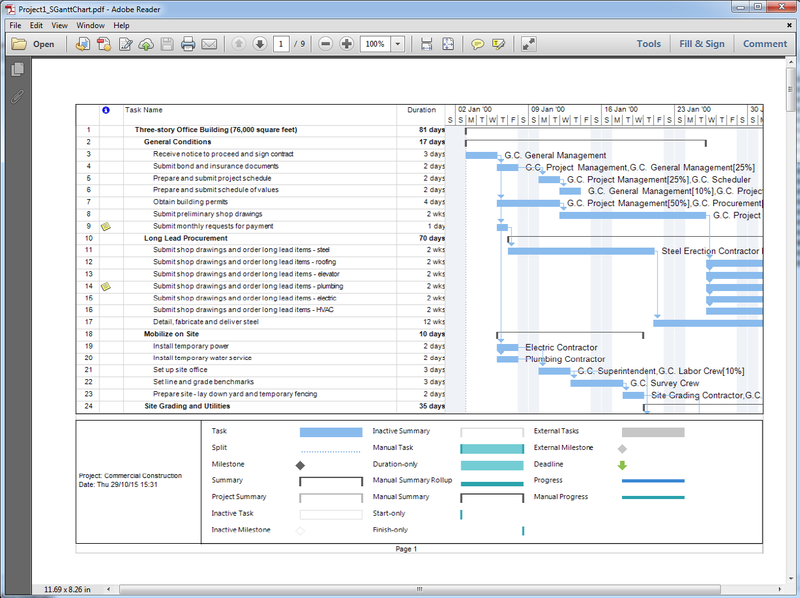 A convenient way to export your project plan into PDF format is to use the Export to PDF option available in the application. A dialog will be shown, that asks you for the location where the generated PDF file should be saved. Select the desired location and click on Save button. Consequently there are two possible options in which you can export your project plan in PDF format: either by using the built-in support offfered within the application for export to PDF or by using a plug-in, that you can install, which prints you the project to PDF format. Besides exporting the information from your current view in PDF format, you can also export a report of your project plan in PDF format. 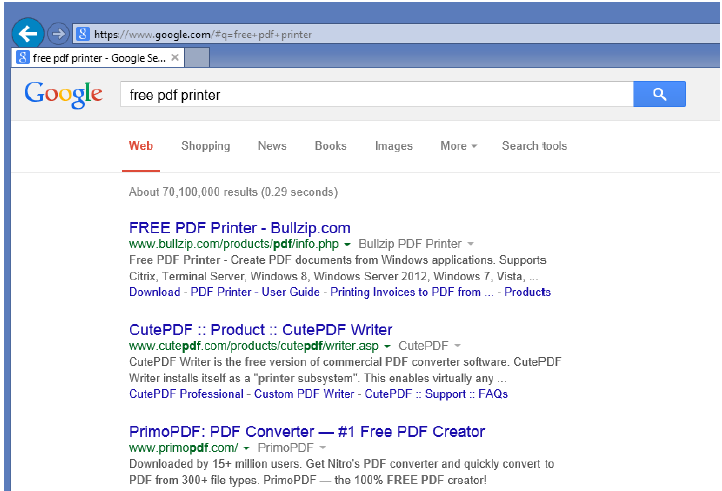 In order to print to a PDF you need a PDF Printer installed and configured on your PC. If you don’t have a PDF Printer or you are not sure if you have one already installed please follow the steps below. There are plenty of free pdf printers, all you need to do is google for “free pdf printer” then configure and install it following the specific product instructions. If you choose the Bullzip printer you can go to link below to configure it then follow above instructions on how to print to PDF from Project Plan 365. For more information on printing as PDF please see Print and Page Setup.